Summer is finally here, and with it comes an abundance of sweet-smelling blossoms, plenty of sunshine and more time spent outdoors. L’Occitane has several floral-forward fragrances perfect to wear during the warmer months. We found two, plus a great hydrating skin cream to use for keeping skin nourished during those longer days. Pivone Flora comes in a beautifully shaped glass bottle that mimics the peony flower’s petals on top. The glass colour is a gradation from clear to pink, perfectly capturing the spirit of this well-loved spring and summer perennial. 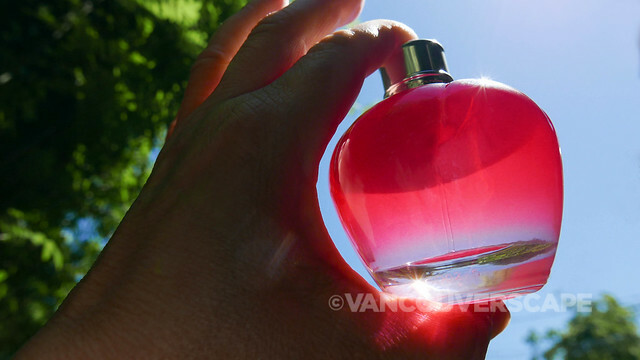 L’occitan Eau de Toilette is for lavender lovers. Authentic A.O.C. lavender is blended with the peppery, nutmeg scent of burnt wood as a secondary aroma. It’s also a fresh scent for men that’s perfect for both spring and summer. Summer enjoyed outdoors in the sunshine can dehydrate skin almost as easily as in winter. We keep a tube of L’Occitane’s Shea Butter Hand Cream in our bathroom to use each morning before heading out for the day but have recently discovered their Ultra Rich Body Cream, created with 25% shea butter. This formula goes on nice and smooth and doesn’t leave our skin with a greasy feeling once applied. There’s extracts of linseed, sweet almond, marshmallow and honey that leaves a light scent that won’t overpower fragrances. It comes in a 200 ml pot and retails for CAD $48. 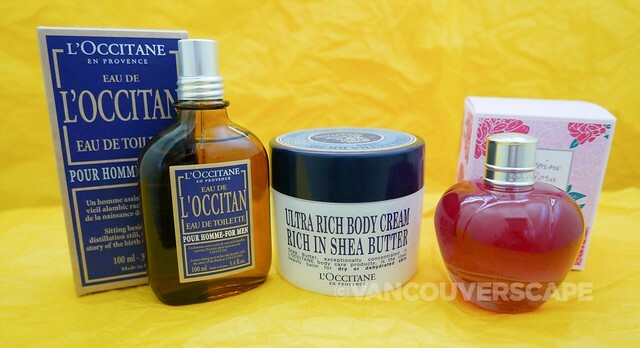 Non-watermarked images courtesy of L’Occitane Canada.